How Long Does It Take for Xanax to Kick In? How Long Does Xanax Stay in the Body? 1 How should I take Xanax? 2 What happens if I miss a dose? 3 What happens if I overdose? 4 What should I avoid? 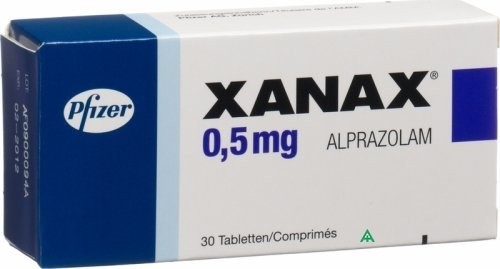 Xanax (brand name) or alprazolam (its generic name) belongs to the benzodiazepine group of drugs. It is used to treat people suffering from anxiety caused by depression, as well as anxiety and panic disorders. It works by improving the balance of chemicals in the brain, which leads to reduction of nervous tension or anxiety. If you have been prescribed this drug, you may be wondering, “How long does it take for Xanax to kick in?” To answer this, it is also important learn more about the drug and how to take it properly. How long does Xanax take to work? Alprazolam (Xanax) is a drug that relieves anxiety within about half an hour of oral intake. Most people who use Xanax say that a single dose kicks in 15- 30 minutes and its anti-anxiety effects last for a few hours. Taking it with food does not seem to affect its effects. Generally, a 0.25 mg dose is enough, but some variations among individuals may occur. Differences in doses based on body weight may be expected. Xanax can make you will feel relaxed and drowsy after a while, but if you fall asleep soon after taking it, you must think about some other thing that may have caused it. Effects of Xanax on your body may include dizziness, drowsiness, difficulty concentrating, headache, irritability, nausea, talkativeness, and joint pain. How long does it take for Xanax to kick in? Well we’ve already know that. Although the onset of effects may begin no later than an hour, the drug reaches its peak after one or two hours, and its full effects last an average of about five hours. However, it remains in your bloodstream long after its effects are gone. That is because its average half-life is about 11 hours. A drug’s half-life is the time it takes for half of the dose in the blood to be eliminated. For Xanax, it takes 11 hours to eliminate half of the dose taken and several half-lives for the drug to be completely eliminated. The duration of action of a drug, however, is affected by various factors, including age, weight and liver disease, which can cause a prolongation of its elimination. So for some people, a small fraction of drugs like Xanax may stay in the blood even after two or more days after taking just one pill. Furthermore, if you take Xanax regularly, you may maintain a higher level of the drug in the bloodstream, since it tends to accumulate. It may take several weeks for Xanax to be completely eliminated from your body. Xanax passes from the blood into your urine and can be detected in drug tests long after you have taken the last dose. How should I take Xanax? Take Xanax as prescribed. Do not take larger or smaller doses and avoid using it for longer periods than recommended. Follow directions on the prescription label. If you experience any side effects, contact your doctor, but do not change your dose or stop taking it before he gives advice. Swallow the whole Xanax tablet without crushing, chewing, or breaking it. Extended-release tablets are specially made to release the drug slowly in your body. Crushing, chewing, or breaking the tablets would cause too much drug to be released immediately. Consult your doctor if it does not seem to be working well in treating your symptoms. However, do not stop taking it abruptly because doing so may lead to withdrawal symptoms or seizures. Ask your doctor about avoiding withdrawal symptoms if it is stopped. Store your medicine at room temperature and keep it away from light, heat and moisture. Make sure that no one else but you have access to the drug. If you miss your dose and remember after a few minutes or hours, take one tablet immediately. However, if it is almost time for your next dose, just skip a dose and take your next dose as usual. Do not take an extra dose to make up for missed doses. A Xanax overdose can be fatal. Overdose symptoms include confusion, extreme drowsiness, light-headedness, muscle weakness, loss of balance, lack of coordination, and feeling faint. Call 1-800-222-1222 (Poison Help line) or seek medical attention immediately. Avoid drinking alcohol while using Xanax because it can increase the effects of alcohol. Taking Xanax may also impair your reactions and thinking. Avoid driving or doing anything that requires alertness. Interaction with grapefruit juice can cause unwanted side effects. Talk to your doctor about taking grapefruit products if you need it. Server responsed at: 04/25/2019 9:58 a.m.